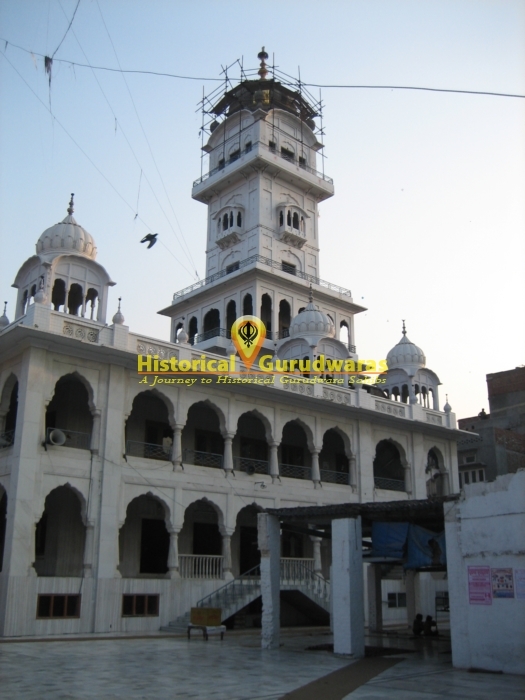 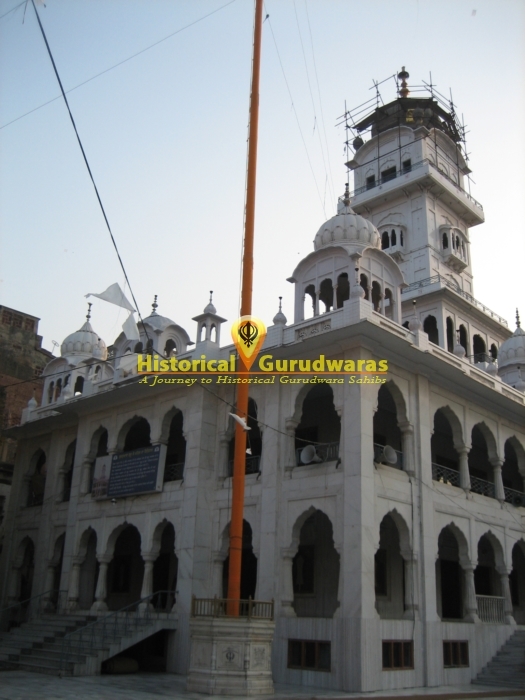 GURUDWARA SHRI GURU MAHAL SAHIB is situated in the Amritsar City. 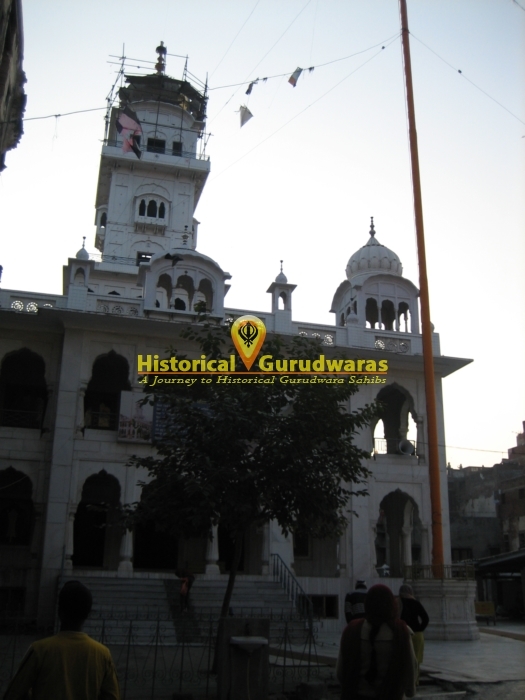 Its near to the GURUDWARA SHRI HARIMANDIR SAHIB. 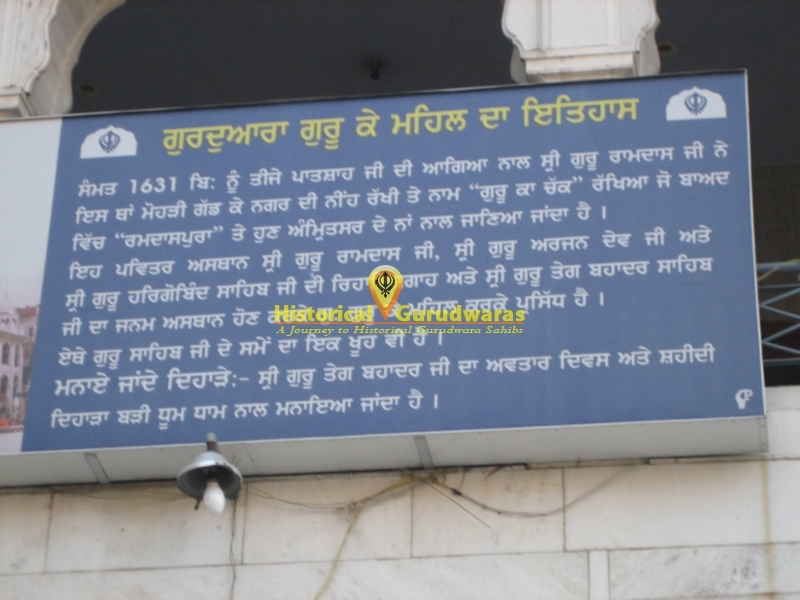 SHRI GURU RAMDAS JI and his family was staying here. 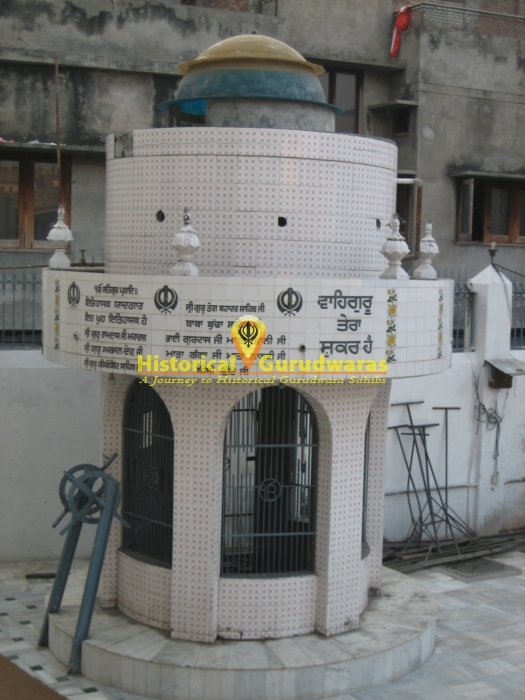 SHRI GURU RAMDAS JI founded the city of RAMDASPUR (Modern day AMRITSAR) and began excavation of \"POOL OF NECTAR\". 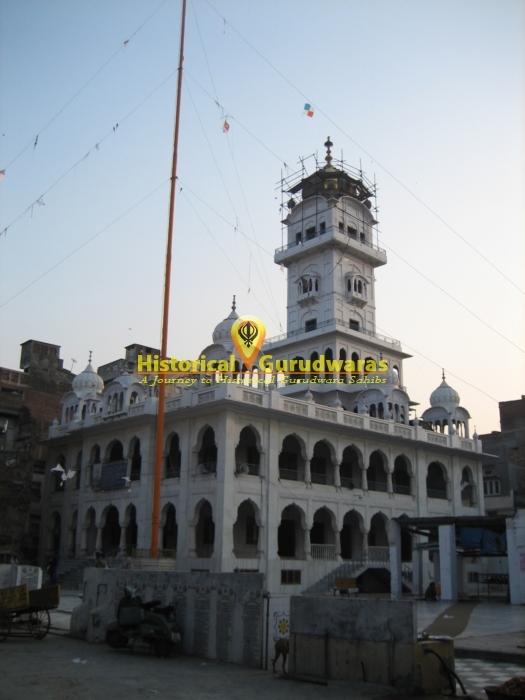 SHRI GURU ARJAN DEV JI got married here and was also blessed as GURU here. 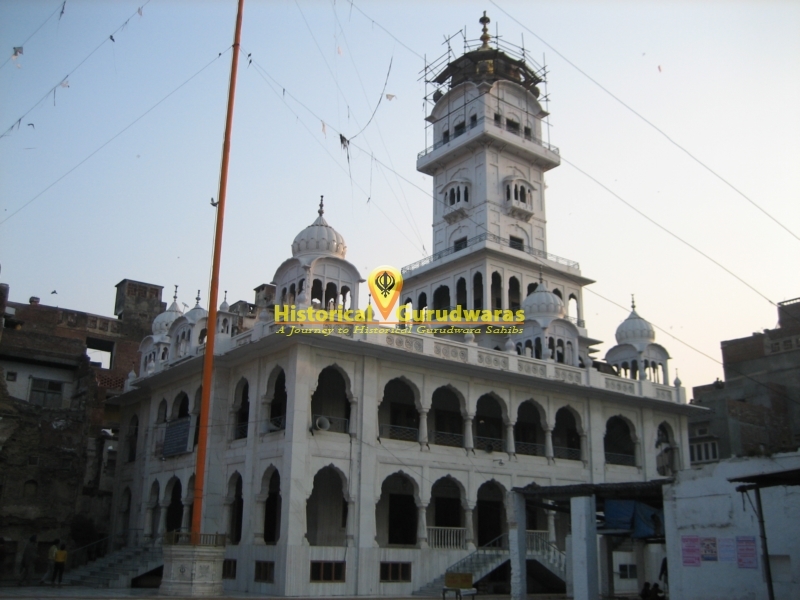 SHRI GURU HARGOBIND SAHIB JI was also married here. 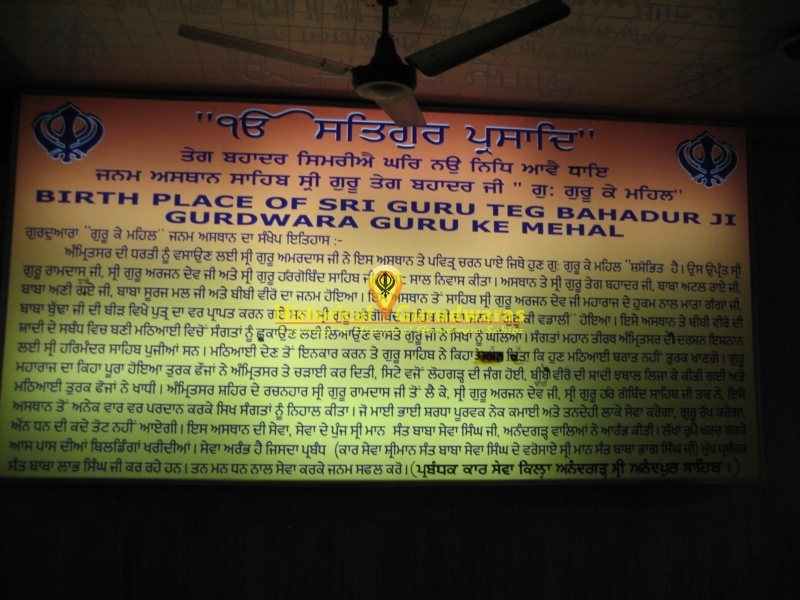 This place is also birth place of BABA ATAL RAI JI and SHRI GURU TEG BAHADUR JI.